The Junior League of Gwinnett and North Fulton Counties (JLGNF) has approximately 120 Active and Sustaining Members consisting of CEOs, entrepreneurs, mothers and professional women from diverse backgrounds. 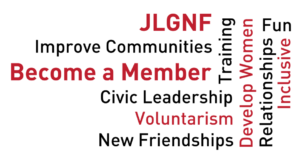 Each of our members balances her work and home life with her volunteer hours to help JLGNF make a difference in the communities that we serve. Our League offers training, leadership development, community involvement and the opportunity to build relationships with fellow League members. Training– We offer Junior League University which is a group of courses focusing on various areas including budgeting, conflict management, leadership, etc. We have an on line library which hosts training session videos and materials. Relationships – You will have the opportunity to meet a diverse group of women in your community that share the same visions for community improvement. Leadership Development – You will have the opportunity to chair committees that directly serve our mission. Your learned leadership skills will offer you opportunities to serve in leadership roles for other organizations and local boards of directors. Community Impact – You will be a part of an organization committed to developing the potential of women through training, leadership opportunities, and service with the purpose of strengthening our community by creating and implementing collaborative volunteer projects. Transfer of Membership – As part of The Associations of Junior Leagues International, Inc., members have the ability to transfer their membership to Leagues in the United States, Canada, Mexico and England. 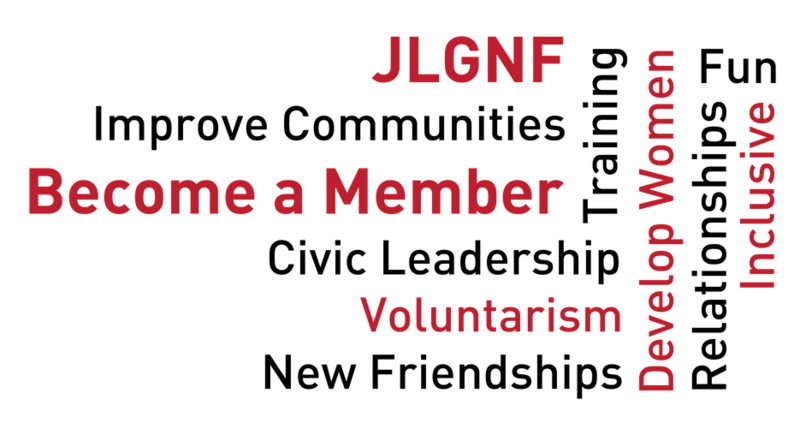 If you would like more information about joining the next New Member class of JLGNF, please email recruiting@jlgnf.org or call the JLGNF office at 770-686-7463.